Smittybilt 9870215 - Smittybilt Replacement Jeep Soft Tops - FREE SHIPPING! Great quality very happy with my purchase and the price was great!!! It is a great top for the money. Couldn't beleive I found this top at this price. I have told several of my jeep owning friends. The top I bought did not fit my regular Wrangler. Not enough information is made available through the web site to determine the correct fitment. 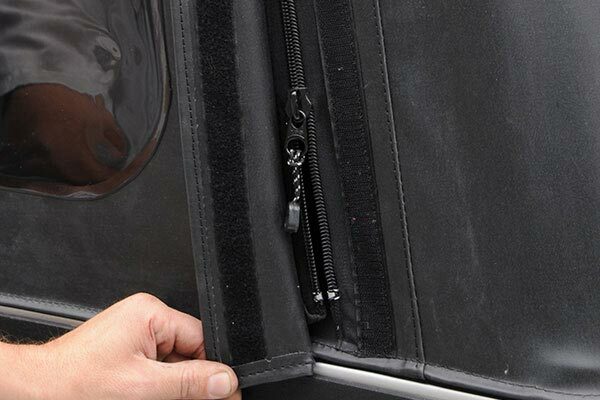 Example...my Jeep has solid steel doors with roll up windows. The product I received was for a half doors. Solid doors with windows are round at the top rear of the door. Half doors are not.They are square. There's a 6 inch gap between the differences. 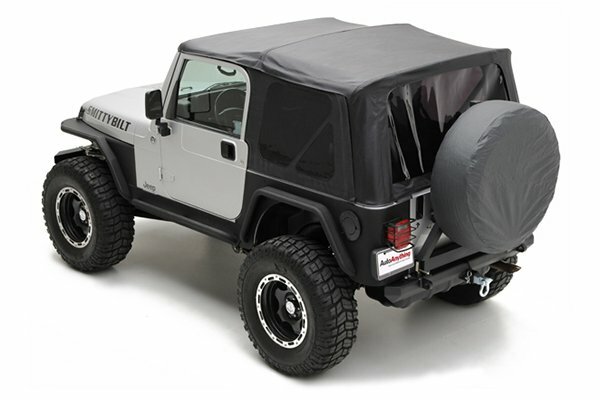 My Jeep did not have a top for the past 2 years, I was looking for an affordable good looking replacement top and found it with Smittybilt. It was easy to install, less than an hour, and it looks awesome. Just wish the front upper doors were tinted as well. Awesome, cheap replacement top. Fits perfectly over the factory soft top hardware. A lot more quiet ride and the tint looks great. 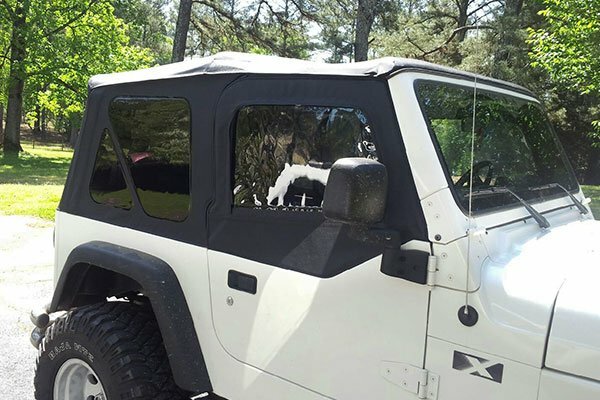 it's beautiful, it fits perfect, changed the whole look of my jeep. ..l love it ! Reference # 752-275-608 © 2000-2019 AutoAnything, Inc.